These words uttered by Lord Krishna, more than 5000 years ago on the battlefield of Kurukshetra, stand as the promise made by God to mankind. True to this promise, the Divine has always come down to help Humanity whenever the dark and negative forces overpowered the good and righteous. This descent of the divine power in a human form is commonly known as an ‘Avatara’, a special incarnation who takes birth on Earth to set right the balance between good and evil. All these avatars originate from a divine personality, commonly known as MahaVishnu’, one of the trinity of Gods, who takes care of the sustenance of the entire Creation. In a cycle of 50,000 years, many such personalities take birth but there are ten main incarnations of God who come down to fulfil a specific and important mission. The works and activities of these personalities have been recorded in the mythology, epics and folklore of various cultures across the world. At this important juncture of Humanity’s transition from the dark age to the New Age of Light, the Tenth Incarnation of MahaVishnu has taken birth on our Earth to remove all darkness and help us move into the Golden age of Satya Yuga. This Avatara is Lord Kalki! Divine personalities incarnate on Earth with specific missions and purposes. Their roles differ from that of the Spiritual masters and guides, who come down periodically to educate humanity about the divine ways and help them evolve. A spiritual master lives through example and places before humanity the higher knowledge and truths. It’s upto the individual to choose and the master doesn’t impose or judge. On completing the work, the spiritual masters leave their bodies. Jesus Christ, Ramakrishna Paramahamsa and Mother Theresa are some examples. An incarnation, on the other hand, usually takes birth to bring a balance in life here and to remove the dark and evil forces. They too teach spiritual values and help humanity but they have the authority to take corrective action. They are assisted in their work by the Rishis and their workers. Lord Rama and Lord Krishna came down with the primary aim of killing the demons and evil forces. Lord Kalki too has a similar mission along with other roles. Indian Mythology talks of a divine personality who appears riding on a white horse at the end of Kali Yuga, sword in hand, to destroy the followers of evil. Buddhists believe in the return of Lord Buddha as Maitreya, while Islam talks of Imam Mahdi. Some cultures also call him as the Saviour. The second coming of Christ at the end of the judgement day is also a widely held belief among devout Christians. All of them refer to the same person, a specially incarnated soul who has already taken birth and is very active, especially in this period of Transformation – Lord Kalki. ‘Kalki’ literally means ‘The Killer of Kali’. Kali or Kali-Purusha is the personality who embodies all the darkness and negativity of the dark age. The One who destroys Kali is Lord Kalki. The name given to him by his parents and the Rishis is ‘Suryanama Prakasha’. All the incarnations are amshas (parts) of MahaVishnu, who is the divine personality presiding over the extraordinarily huge Divine cosmos, Vaikunta. The amsha of Lord Kalki was very specially created by MahaVishnu using many important energies from His core. The Saptarishis also added a lot of rare energies from other Universes and installed special gadgets which they’d gained through long Tapas, in order to help create this special soul. Lord Kalki was born in 1924 on ‘Jyeshta Shukla Triteeya’ (The third day of the third month of the Lunar calendar). He was born to Goddess Gayatri Devi and Lord MahaVishnu in the ashram of Maharshi Kripacharya. These two divine personalities assumed the human form in order to give birth to Him, after which MahaVishnu returned to His Source. Lord Kalki shifted to the kingdom of Shambala when He was 12 years old. Shambala (also known popularly as Shangri-La) is a divine place located in Gobi desert, where people live in peace and harmony, untouched by the blemishes of the outside world, at the heights of material and spiritual glory. This place which is a paradise on Earth, opens to the rest of the world only in the Light Age. The inhabitants live in their Light bodies, following all the divine laws. Lord Kalki who is presently living in His Light body, continues to remain at the age of 24. All Avataras are born with the awareness of who they are and what their mission in Life is. This unique characteristic of the incarnations is not available even to the great Rishis when they take birth (with the exception of Vishwamitra Maharshi and Vasishta Maharshi). Although the incarnations come down with great capacities, knowledge and awareness, they too undergo training at the physical level. This is to honour the physical laws, to set examples in humility and also to learn many subtle aspects which is possible only by physical training. This is evident in the lives of Lord Rama and Lord Krishna also. Most of the revelations about the early life of Lord Kalki is with regard to the training and preparation for His mission. He has lived under the care and guidance of Maharshi Kripacharya in his childhood days. He learnt the basics of archery and warfare as well as did His academic learning under the guidance of the Maharshi, who also taught Him the fine arts of painting, music and dance. At a later stage, Lord Kalki learnt and acquired many advanced astra/shastras (divine weapons) from this Master. The Saptarishis too gave Him many special weapons through Kripacharya. He is now a specialist and master in Seven different types of unique weapons. He was further taught and trained for His mission by Parashurama and Ashwatthama — the immortals. He learnt many advanced techniques of warfare from Maharshi Amara, who also gave Him a lot of powers which he had gained through thousands of years of Tapas. These four personalities are His main teachers. He has also been trained in some specialized areas by Markandeya Maharshi. The other details of His life are not revealed. He lives in Shambala and works from there though there have been numerous occasions where He has materialized in the outside world, as a part of the work. His activities on the Earth started in the early 70s, the period where Kali Yuga was about to end on our Earth and enter the transitory period. The Bhavishya Purana (Mythology of the future) gives some details about Him, His work etc. 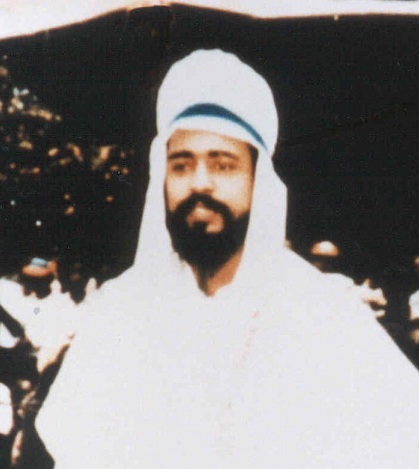 Once He completes the mission for which He has taken birth, He will hand over the charge of the administration of the Earth to the next divine incarnation. The Rishis have revealed a few details about the capacities and powers with which He is equipped to fight the forces of darkness. Lord Kalki works mainly through the energies, so when He wants to release them to Earth, He expands to a very large size so that the Earth will be in the region of this stomach. Then he releases the energies within Himself until the required effects are achieved. Lord Kalki carries a lot of unique energies from Mula Brahman in his third eye. A huge Light field which is created by combining the Lights from all the Manifested Universes is stored in His Anandamaya Kosha, so that He can pass them to all genuine seekers. Also, many special gems and precious stones from Devi Loka have been embedded into His system by Goddess Adi Shakti. The powers from these gems are meant for the destruction of the dark forces. The hair on Lord Kalki’s head act like satellites and radars. They detect energies, people and entities, and because of this faculty, He is aware of everything happening in the entire Material Cosmos. Lord Kalki has many special weapons and special chemicals stored in His legs. He can release many types of gases using His tongue. These faculties are used when He fights the evil forces. The main activities of Lord Kalki began in the 70s when our Earth emerged out of Kali Yuga into the transitory phase before the New Age could dawn. With the beginning of Pralaya in 1987, His activities also intensified. Much of these are done at the astral level which later bear fruit physically. He has initiated many processes and anchored a lot of His energies into Mother Earth. After our Earth’s passing through the dark ages for nearly 5,000 years, the forces of evil and darkness (Kali) have strengthened and consolidated beyond measure. The decline and degradation of values is evident around us in the form of environmental destruction, corruption, stark materialism, greed, terrorism, wars and communal strife. Without Divine intervention, humanity is headed towards a global suicide within the next few decades. Lord Kalki’s main work is to destroy all darkness and cleanse the effects of these 5000 years of the Dark Age, so that Humanity can transit into the divine life of Satya Yuga. He is equipped to fight with many dark entities simultaneously by taking multiple forms. He has the power and capabilities to completely destroy all dark forces present on our Earth. Another role of His, is to establish a divine environment on our Earth so that maximum Light can be brought down and experienced by Humanity. Because of the implementation of the ‘Divine Project’ (as explained in the ‘Earth Changes part 1’ article), He has to make sure that the cleansing of the Earth is absolute and only purity exists here. The period of Pralaya is the phase where He is executing this work by releasing the special energies that he carries. He is specially created to operate in this phase of Pralaya. He carries a lot of energies related to pralaya, which He releases at appropriate times at different parts of the planet. The effects of His actions can be seen in the collapse of various systems still tuned to the Old ways and in the mass uprisings against dictatorial and corrupt governments. Another important mission of Lord Kalki is to educate and help each individual to pass through Pralaya. He counsels everyone, at the astral levels, about this churning period, about the ways to adapt to these changes and about the shift in Ages. He advises them about their old ways of living and how to leave them in order to adopt to the higher ways, so that people open up to God and to the Light Age. This process has already begun. He will educate people that we all are from the same source and hence are equal. He guides everyone towards manifesting Oneness, sharing their abundance and caring for others. He will also teach individuals to take guidance from Light directly. Then He provides many opportunities in the life of each person to change and transform. The spiritual guides who are assisting Him help the individuals to overcome their negativities, by guiding them at different levels. He then warns those who refuse to change and who persist with the ways of the Dark age. After sufficient warnings, those who do not accept his guidance in moving to the New Age will be annihilated and removed from our Earth. Such souls will be shifted to the 7th Earth for further education and evolution. Only a few Souls will be given Mukti unlike the previous cycles, where anyone killed by Him used to attain Mukti. Once the destruction of negativities and evil is over and the old systems are removed, new laws and divine systems will commence in the New Light Age. Lord Kalki will be in charge of implementing them. He will make sure that all the divine laws are followed by everyone on this Earth and no unspiritual practices exist henceforth. The exposure of dark leaders all over the world is the direct result of His works. The mass movements and uprisings against corrupt and dysfunctional regimes that we’re witnessing these days are the reflections of His works and influence. The political confusions and chaos in many countries are due to His initiatives, so that Light can slowly descend and allow better systems and people to take over the leading roles. As a part of His mission, He has annihilated many dark leaders and individuals at the physical level to prevent them from causing much damage. The demon Matsyatunga who was a prominent world leader, was physically killed by Lord Kalki. Many other dark forces and their personifications at this level have been decimated by Him although the details are not revealed. The systems and processes which are still tuned to the ways of Kali Yuga have already begun to collapse because of the energies released by Lord Kalki. Such systemic collapses will accelerate in the coming years, across the globe, resulting in the release of the stranglehold of the dark forces over the way of life here. These will be replaced by divine systems under His supervision. Many weather changes and natural calamities are occuring because of the processes initiated by Lord Kalki. More destruction is expected to occur because of these natural phenomenons as these events are a part of the overall churning processes. Many nations which harbour darkness will be totally wiped out but those who’re aligned with Light will be saved. Mythology describes that an army of Lord Kalki will emerge out of Shambala and destroy the dark forces. This is more of a symbolic representation of Lord Kalki working with His Energies, than using an actual army. Shambala does have an army but it’s only to guard the place. Lord Kalki works with the Rishis and Rishi-workers in destroying the forces of darkness. The surfacing of negativities in Individuals is another key area where Lord Kalki is working, along with the Rishis and the Ra Energies. He has the responsibility of destroying evil, not just at the level of nations, systems or dark entities but also at the very personal level of each individual by bringing them face to face with their own hidden negativities. Along with making them aware of their shortcomings, He also provides help and guidance, at the astral levels, in dealing with and overcoming them. The growing awareness about Higher realities and the openness in individuals across the globe is because of the works of Lord Kalki. In spite of the confusions and upheavals in the daily lives, those who are open, are optimistic of a better day. They are hopeful of change and new beginnings. This again is the result of His work. Lord Kalki has also physically appeared in a number of places and inspired hope in individuals. One such event has been recorded in the Share International magazine in which He materialized in a healing gathering and spoke to people. But the bigger event which is most anticipated is the mass appearance of Lord Kalki where He will simultaneously materialize all over the world and also address everyone through mass-media. The Incarnations arrive in every cycle of 50,000 years to fulfil specific missions. Lord Kalki too has incarnated several times on the Earths, belonging to the Bhoo Loka Category (the seventh level in the Material Cosmos where equal opportunities exist for both Material and Spiritual activities). Since there are lesser negativities in the Earths of the higher planes, His work was limited only to the Earths of Bhoo Loka. After the removal of evil, once Satya Yuga began, He would hand over the charge to the next personality and return to the Source. This cycle however is different because the ‘Divine Project’ has been initiated in Creation beginning from our Earth. Many new laws, systems and processes are being implemented for the first time on our Earth so that we have only the Light Age henceforth. Lord Kalki will be staying back for a long time to oversee the stabilisation of all these processes. His role of establishing God’s Kingdom has also been expanded to the entire Material Cosmos, spanning all the Lokas. His work this time is to ensure that the entire Brahmanda (Material Cosmos) is free from all negativities and darkness. He will use our Earth and a neighbouring Galaxy as a base for the execution of this work. He will be active in all the Earths of our Brahmanda. Lord Kalki was supposed to make a worldwide public appearance in the early 80s, but that event was postponed and it continues to be postponed to this date. He wants to appear anytime but is waiting for guidance from the Rishis. There is a good possibility of His appearance happening by mid-2012 but that is still uncertain and can also be further postponed. Since the time for his public appearance has not yet arrived, even on occasions when He’s physically present among people, the general public do not notice Him. In answering a question about His appearance, Maharshi Amara had answered, “When the Sun rises it needs no introduction; similarly when Lord Kalki appears, all will recognise Him”. At present, He is very active astrally and is interacting with everyone at that level. As we move ahead, the effects of His activities will become stronger, with those who’re open being able to easily feel His presence. It’ll only be in the final stages of Pralaya that everyone can physically see Him when He makes an appearance. The Avatars do not act alone in their mission but are helped and assisted by many other forces and individuals. The incarnation of Lord Kalki has always been a special one, since His responsibility is to decimate any trace of darkness on a planet which has been accustomed to the dark ways over thousands of years. And in this cycle, His work has been expanded to include the entire Material Cosmos, hence the assistance available to Him is also unique and special. The main person assisting Him is Lord Parashurama, the sixth incarnation of MahaVishnu. When Parashurama had incarnated, thousands of years ago, He had executed a similar mission of destroying evil rulers across the world. Now, as the ‘Supreme Commander of Kalki’s Forces’, He is one of the pillars of this work. Maharshi Vishwamitra has a special role in Lord Kalki’s work. He is assisting Him with new and special energies brought down from various sources. At the same time, he is also working actively to help humanity open up and grow. The SaptaRishis have equipped Him with many powers and new gadgets. Vasishta Maharshi has passed on thousands of years of his Tapas-Shakti to Lord Kalki. He has also gifted a very special and unique gadget which is in the shape of a lotus flower. Using this, Lord Kalki can multi-task and execute thousands of responsibilities simultaneously and efficiently. It also enables Him to contact every individual on Earth simultaneously and communicate with them. The SaptaRishis work in tandem with Lord Kalki in their works related to Pralaya. Most of the decisions about Pralaya and transition with respect to our Earth, are taken by the SaptaRishis after consulting Lord Kalki. They have also equipped him with enormous spiritual knowledge and material wealth. With these, they’ve prepared Him to be an emperor of the whole world. The masters who trained Lord Kalki earlier — Kripacharya, Ashwathama, Maharshi Amara and Markandeya Maharshi are also actively involved in His work. MahaVishnu – Lord Kalki is an amsha of MahaVishnu, who has established a direct channel from Vaikunta to Him. Using this, Lord Kalki can draw energies, knowledge, power and help directly from there. It was a very rare revelation by the Saptarishis that Gayatri Devi is the mother of Lord Kalki. She has been personally involved in nurturing and training Him right from His birth. She has taught Him the science of materialising and dematerialising and also multiplying His bodies. She has now transferred about 80% of Her energies to Him. She is an important pillar of His life. Padmavathy is a special amsha of Goddess Mahalakshmi. She was born more than 75,000 years ago to Maharshi Romapada and Devi Annapurna and was then known as Apoorva Kanya. She was pursued by the mighty demon Ravana who wanted to marry Her. When she refused him and went into hiding in Africa, Ravana waged a war against the king and the people, who were helping Her. He brought down a rain of sand for 40 days over the kingdom, resulting in the present day Sahara desert. When the people refused to concede, he cursed the entire continent which made the inhabitants physically and intellectually deformed. After capturing Apoorva Kanya, Ravana cursed Her to become a snake when she still refused him. She was under the spell of this curse for nearly 75000 years. In the mid 70s, Maharshi Amara and the Rishis were involved in a very important work to revive Apoorva Kanya from the spell and bring her back to the human form. After the removal of the curse she was named as Padmavathy and Lord Kalki chose her as His bride. In the mid-90s more energies and a stronger amsha of Goddess Mahalakshmi were added to strengthen Her. She was further trained by Maharshi Amara. Special powers were given to Her by Goddess Annapurna and Vishwamitra Maharshi. Now She works with and assists Lord Kalki in most of His works and is like a backbone to His activities. She helps in the destruction of the dark forces and also in the descent of God’s grace for Peace to get established on Earth. In every cycle, Lord Kalki would complete His mission and then marry Her. In this cycle, His roles and responsibilities have expanded beyond our Earth resulting in the time-span of His mission extending to thousands of years. The Rishis have revealed that the wedding between Lord Kalki and Goddess Padmavathy has already happened! Lord Kalki took birth in 1924, many many years before His work actually started in the 70s. This was because, the Rishis had been deliberating about the ‘Divine project’ even before He took birth and hence requested Him to come down early so that He could be trained sufficiently for the entire project. Also this training and preparation required the gathering of special energies and powers, which were time-bound. By the time of completing the basic training for His mission on Earth, the Supreme Intelligence had approved the Divine Project. Hence His training for the bigger role continued from then onwards. After the completion of Pralaya, Lord Kalki will oversee the implementation and stabilisation of the new laws, systems and processes on our Earth and in this Galaxy. He will also work towards revising the various Spiritual laws that exist today. He will be the person in future to decide which individuals will have freewill. He will train a team of individuals to work under Him, who’ll be called as ‘Rakshas’. They will take care of the work that He accomplishes. The work of Lord Kalki will expand to the entire Material Cosmos after this. As a part of the Divine project, He has to ensure that all traces of negativities are removed from the entire Cosmos. The Saptarishis have already begun the preparatory work for this. Once the work of Lord Kalki is completed, the process of healing and further administration of Earth will be taken over by another Avatara. He is called as Lord Mahavatara, the 10 year old boy mentioned in the prophesies of Nostradamus. He has already taken birth. The next article will explain the life and works of this great Personality! If this is really Lord Kalki when will he appear in public? There is so much suffering, injustice and corruption. When will all of this end? My guru (Swami Paramhansa Hariharanandaji) also mentioned that Lord Kalki is already born but i never thought that he was already born in 1924. My guru left the earth more than 10 years ago so I can’t ask him if this is really Lord Kalki. But I hope you are right. That mysterious trumpet sound many of us has heard around the world and no one knows where it comes from, has that anything to do with Lord Kalki? In a dream I saw him with this same clothes but i saw only the back of him and someone said it is Lord Kalki and again i heard this trumpet sound, so loud that i woke up and could still hear the echo of that sound! I am just an ordinary person and still have a lot to learn so maybe this was just a dream and means nothing. This was a photo of Lord Kalki when he materialized in a gathering in Kenya. He is in this dress as the gathering were primarily islamic. He may appear different when he comes out to the whole world. The trumpet sounds are various indications of his work. It is a great pleasure and privilege to receive such precious and rare news regarding the One Personality the majority of this world has been waiting for and is in dire need of. I am grateful to the team for bringing us this knowledge. But is the personality shown in the Picture Lord Kalki himself? Please regard this as a humble question rather than a doubt on your earnestness. The answer is certainly not mandatory if the topic is too sensitive. I am too grateful to be asking any such questions at all. It is just an attempt to know a bit more about the spiritual mysteries. With due respect to the Lord and the author I would like to ask, On what basis did you or the person who took the above picture conclude that the person in the picture is Kalki? Did somebody see him materialise? my heartfelt gratitude to you for sharing this wonderful article. there are many unheard and ofcourse surprising facts which are too true to be believed by most o people. what i wanted to know is that if free will is taken back, and given only to spiritually matured beings, does that mean there will be no negativity at all in due course of time??? or will it surface again later??? If this gentleman is Kalki, who is the guy and his wife in the Oneness Movement, Chennai, India called Bhagwan and his wife Padmavati, whose dasas and followers (Bhaktas) sang songs referring to him as Kalki Avatar? Even we do not know much about the person you are referring to. The real Lord Kalki is the personality we have written about. If you say Lord Kalki has come, where are Peace and Harmony? Where is the judgmental wrath of the Lord? thank you vishwaamara team for sharing this wonderful information with us. thank you . very much. With belated humble wishes to Lord Kalki on His Birthday celebrations, I welcome Him & His blessings into my heart. This article has presented many intricate details about the Lord’s Birth, Schooling, Training and Marriage in a sublime way. There are many indications and hints that the World Teacher is operating and the Second Christ has come to Deliver us from Darkness in to Light. This article sheds enough Light on the much needed information regarding the Presence and working of Avatara. Thanks to the Rishis & VishwaAmara Team in consolidating and presenting the heads up article for the benefit of Mankind. This is a gr8 piece of sharing…thanks to Vishwaamara team and Saptarsishis/Amara for revealing such sacred knowledge about Lord Kalki… we are all blessed…intend to connect to Lord Kalki and be connected…and help humanity with his energies flowing/channeling thru my body as a perfect instrument/channel…eternally as needed. Loving you so much !! Freewill is supposed to be birthright. A very basic design principle in divine laws; which if controlled doesnt remains divine anymore. Freewill is a divine right of the Soul. But what has been observed by the Higher Intelligence is that freewill has mostly been used to violate the divine laws and in course of the history of Creation, the negativity and evil has only strengthened because of this. Hence the process of reevaluating of the laws in under progress. Freewill may be curtailed or removed. The decision taken so far is that only when a person matures spiritually will his freewill be allowed to operate. The process of deciding and finalizing the laws is still in progress though. For more information and understanding, go through the articles in the “Earth Changes” series, where we have highlighted many such points. It’s an amazing Grace to be able to know this divine wisdom!!! No words to explain the feeling of awe that we the readers are experiencing.Humble thanks of gratitude for the wonderful revelations.